The PADI Instructor Development Course (I.D.C) is your key to a new career and a new lifestyle! The IDC begins with independent learning and includes both the Assistant Instructor (AI) course and the Open Water Scuba Instructor (OWSI) programme. It can be broken up as follows or run concurrently as the entire IDC. 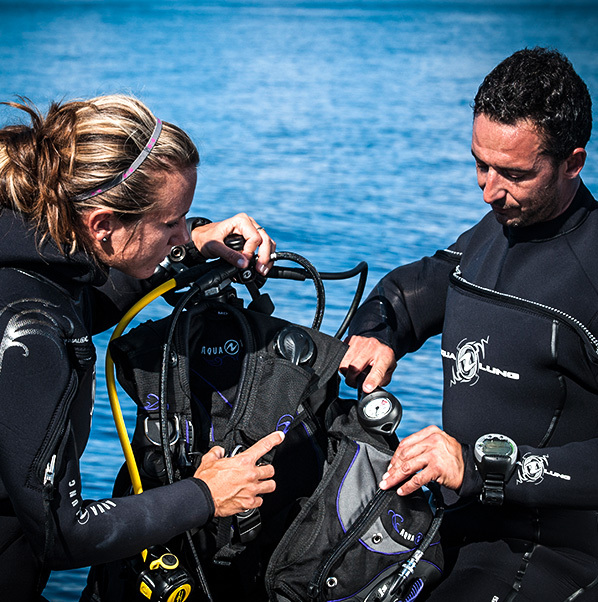 The foundation of PADI Instructor Development is the PADI Instructor Development Course (IDC). The course consists of two parts - the Assistant Instructor (AI) course and the Open Water Scuba Instructor (OWSI) programme makes up the IDC. Successfully completing an AI course allows instructor candidates to earn the PADI Assistant Instructor rating which authorises them to function as instructional assistants and independently conduct certain PADI programmes. AI course completion also qualifies candidates to participate in an OWSI programme. During the PADI Instructor Development programme, you'll learn the PADI System of diver education, standards and procedures, effective academic teaching presentations, teaching in confined water, conduction open water training dives, the business of diving and additional related topics. When you complete the IDC at Dive HQ Christchurch you will do the entire 7 days you will have been trained and prepared to successfully attend the PADI Instructor Examination (IE). This is the final step toward you Open Water Scuba Instructor certification. A speciality instructor option is available as an extension of the IDC lasting 3 days. An evaluative programme where you repeat what you have been doing during the IDC. After completion of the IDC or OWSI, you must successfully complete the PADI Instructor Examination (IE) to become an Open Water Scuba Instructor. You will be evaluated on; dive theory, knowledge development presentations, confined-water (pool) teaching, open-water teaching and general diving skills and professionalism. Nothing new. All our prior candidates found the IE easier than the IDC. NB Before teaching – successful graduates of the IE must also be able to instruct first aid and to be able to deliver Oxygen. These are separate programmes and can be delivered on site here at Dive HQ. See the First Aid pages. Click here for information about Careers in Diving or please contact us here.